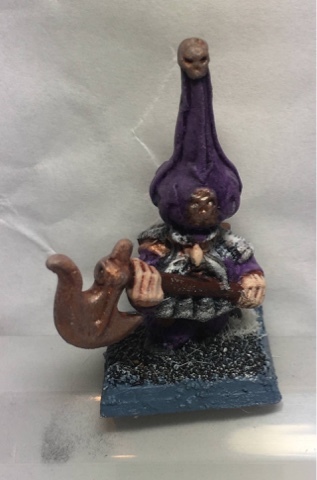 I have finally finished painting up this recast known as onion head Warrior B. 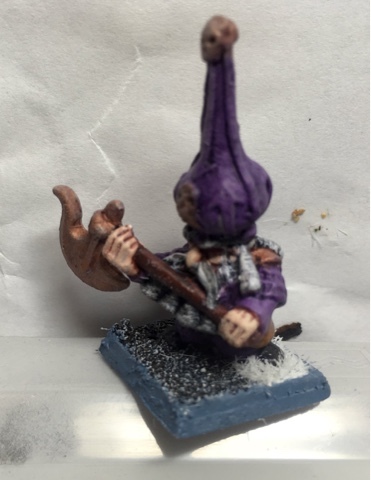 The original Warrior A and B (using both hands to hold their axes) had as far as I am aware a pretty short shelf life so it's fair to say most of them floating around are recasts of the originals. The Warriors A and B tend to go for some over the top prices these days so my advice is be patient and don't pay more than $10 per mini. Anyway, I was very lucky to get my hands on old onion head for a reasonable price and am very happy how he has turned out. 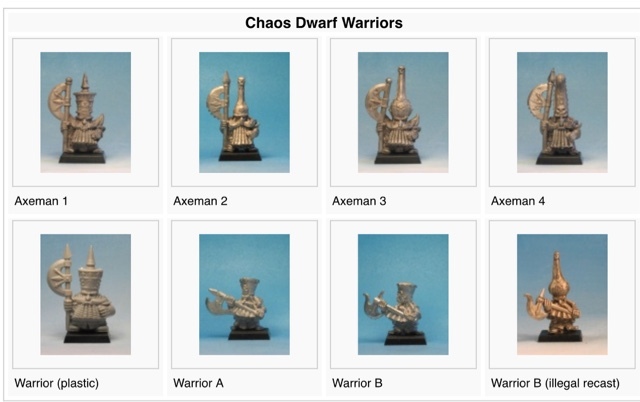 Warrior A and B were a little shorter than the original Perry brother's chaos dwarfs as demonstrated below. 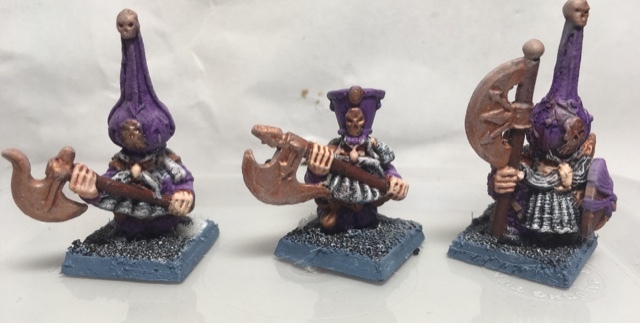 Despite their shorter size they break up for the mono pose of the other axe dudes in units.